Dr. Ronda Nelson, PhD in Wholistic Nutrition and a Master Herbalist presents a webinar on Menopausal Meltdown: How to Prevent and Support (Part 3). Menopause is underrated until the day a woman actually begins to experience it first hand! Then all bets are off! Be sure to join Dr. Ronda Nelson for the final part of this 3-part webinar series outlining the problems and pitfalls that can occur during peri- and postmenopause. BANT has noted the adjudication published on 4 May by the Advertising Standards Authority of Ireland on a complaint against Patricia Daly, a BANT member, brought by the Irish Nutrition and Dietetic Institute and the Irish Cancer Society. BANT has had detailed consultations with lawyers and other stakeholders about the case. BANT is unable to comment on the evidence in support of the Irish Food Pyramid as a proven diet for use with cancer patients. BANT experts are clear that there is now a weight and trajectory of evidence that ketone bodies are key regulators of physiological homeostasis, viz. food anticipation, protection from inflammation and injury in multiple organ systems, including the nervous system, and even possibly why caloric restriction extends life span. Where evidence on diet and health is equivocal or incomplete then the precautionary principle demands that risk-based assessments are part of professional practice. BANT is clear that the weight of evidence on diet and inflammatory disease mechanisms, including cancer and dementia, is now such that carbohydrate control assessment should be included as a norm. 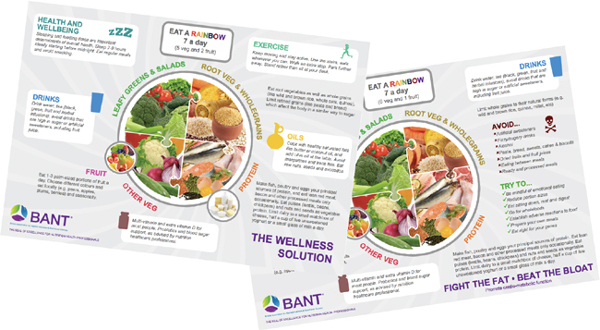 BANT will be producing a general infographic on dietary tips for cancer patients in the autumn. Welcome to the May edition of the BANT ENews. In this month’s issue, our feature article provides two conference reports. The first is on ‘research on nutritional therapy practice presented at international cancer care conference’ and the second is ‘Work of Registered Nutritional Therapists in delivering the public health agenda presented at conference on healthcare regulation’. Both reports are delivered by NTEC Chair, Carol Granger. BANT are running a series of free workshops to give students an experience of being in a supervision group, and to support you getting ready for practice – a great BANT Member benefit for final year students. There are just a few spaces left in the two online groups. The free sessions are on either Saturday 17th June between 10-12pm or Tuesday 11th July between 11-1pm. Please contact Supervision Manager, Helen Monk at supervision@bant.org.uk if you would like to sign up for one of these places. Inspired by his funny, charismatic and motivating talk at the IHCAN Conference on 6th May, we wanted to make sure you had the link to series of films Tom O’Bryan made on the subject of autoimmunity. ‘Betrayal: The Autoimmune Disease Solution They’re Not Telling You’ includes interviews with Functional Medicine doctors, autoimmune specialists, scientists, researchers and autoimmune patients that include Jeffrey Bland, Aristo Vojdani, Isabella Wentz, Kelly Brogan, Terry Wahls, Mark Hyman, Sara Gottfried, Ben Brown, Miguel Toribio-Mateas, Mark Ash, Christine Bailey, Anthony Haynes and many more. Divided into seven episodes, the series covers the reasons why autoimmunity develops and the steps necessary to protect our (future) clients from it. Tom O’Bryan is a Functional Medicine clinician and researcher who is dedicated to… Do take the time to watch it when you can – it’s a great resource. Click here to watch the first episode. …and don’t go yet – if you have any recipes, reviews, book recommendations or comments , or there’s something you’d like to see, please send it to studentsocialmedia@bant.org.uk or post it on our LinkedIn page (BANT Student Network). Or don’t forget twitter (@BANTonline) and our Facebook account (BANT Members Group). We’d love to hear from you! We hope you were able to enjoy the long weekend. In this issue we look at a range of educational opportunities from nutrigenomics to Alzheimer’s disease. Firstly, there’s a free lecture streaming TODAY on chronic disease management. Details below, along with information on talks on Alzheimer’s disease and details of the BANT nutrigenomics webinar held last week. The Institute of Functional Medicine (IFM) presents Systems biology and Functional Medicine: An Emergent Approach to Chronic Disease Management. As a leader in nutritional medicine, Jeffrey S. Bland, PhD, FACN, CNS, is well known for his synthesis of medical knowledge, biochemistry, and nutritional data. In this free Grand Rounds lecture presented by IFM and the Cleveland Clinic Center for Functional Medicine, Dr. Bland will discuss Systems Biology and Functional Medicine: An Emergent Approach to Chronic Disease Management. Join on 2 May, either via live stream or by accessing the free recording for 24 hours after the lecture. Register here. The BANT Student Webinar on nutrigenomics with Dr Eve Pearce took place on Wednesday 26th of April. The nutritional scientist Dr. Rhonda Patrick interviews Dr. Judy Campisi, a professor of biogerontology at the Buck Institute for Research on Aging, a co-editor in chief of the Aging Journal and an expert on the role of cellular senescence in the aging process and development of cancer. Cellular senescence is related to aging and cancer; as cells accumulate damage, which naturally occurs with age, there are a limited number of outcomes. The first possibility is that the cells can die. The next is senescence where cells stop dividing but stay alive and secrete inflammatory molecules. Or the cells can become malignant. Whilst accumulation of senescent cells is inevitable, there are varying strategies of how to tackle senescence which is of great interest to the field of aging. There are ways to clear out senescent cells with drugs or even dietary and lifestyle interventions. Not only are there ways to kill senescent cells, there are also ways to influence what sort of molecules they produce, possibly limiting the inflammatory ones… even without killing the cells. In this podcast, Dr. Campisi shares many insights on how senescence may be key to understanding cancer and ageing. Watch it here. Are you concerned about your risk of brain decline now or in the future? Perhaps because you have noticed brain fog, poor memory or concentration, or maybe you have a family member diagnosed with dementia. Come along to one of our AAA talks and find out more about the dietary and lifestyle choices to consider, to improve brain health. Following the initial talks in Worcester (details below), you may be interested in signing up to the Action Against Alzheimer’s programme we have developed. This includes a series of 8 nutrition and lifestyle workshops covering each of the steps important for supporting brain health – nutrition, gut health, stress, sleep, exercise and brain training. The workshops will support you to make and sustain lifelong food and lifestyle choices to improve brain (and overall) health.